I know I promised last week that I’d be telling you about an IPO opportunity in Colombian cannabis. But I’ve spoken with the company and been assured that its debut won’t be until after I’ve returned. I’ll have a much better take on the company and the potential profits after doing some boots-on-the-ground research. So I’m going to hold off until I get back next week to let you in on all the details there. Instead, today, we’re going to talk about another Canadian company that’s already had massive success growing and spinning off cannabis businesses. Last week, I covered Canadian cannabis company Cannalife Botanicals. It’s still a very small operation, but it’s got lots of potential. This week, I’m going to tell you about another company of similar name that’s already grown to a massive size and still has tons of room left to get even bigger. What that means is it looks for companies with similar business plans and assets and helps them combine into a larger corporation. This helps the companies take advantage of economies of scale without having to grow to that size organically. CannaLife is focused on cannabidiols and hemp. And it’s got a major track record of success behind it. Combined, the management team and board of directors at CCC have built and sold over $1 billion worth of cannabis companies in their careers. We’re talking about major individual deals here. 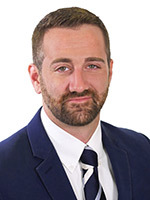 The president, Damon Michaels, founded and then sold Ebbu to Canopy Growth Corp. (CGC) for $425 million! Director Max Zavet co-founded Emblem Corp., which was later sold to Aleafia Health for $170 million. And that’s just a start. The company is connected to many major brands available in the U.S. already. Its portfolio includes KushCo Holdings, Connected Cannabis, and Green Bits. Just for reference, KushCo is projecting $100 million in revenues this year — that’s about what the entire state of Maryland sold in 2018. Connected hit that mark last year with about $100 million in 2018 sales. And Green Bits saw $2.5 billion in sales processed at its cannabis point-of-sale terminals. But the company isn’t satisfied with even those massive numbers. And it has set its sights on being the leader of the global hemp industry. There are already obvious leaders in the cannabis industry: Canopy, Aurora, Tilray, etc. But there aren’t any clear winners in the hemp market yet. And CCC sees the fractured current state as a major opportunity. Management is already looking at five massive acquisitions that would help it consolidate some of that industry and take the lead in an untapped market. Right now, CCC is considering the purchase of a top European CBD e-liquid maker, a 25,000-acre hemp farm in Kentucky, the largest online CBD e-commerce website, a mid-sized generic drug-maker in Europe, and a 10,000-acre hemp farm in Nevada. Once the company adds all those assets, it’ll have a veritable web of operations spanning Asia, Europe, and North America. 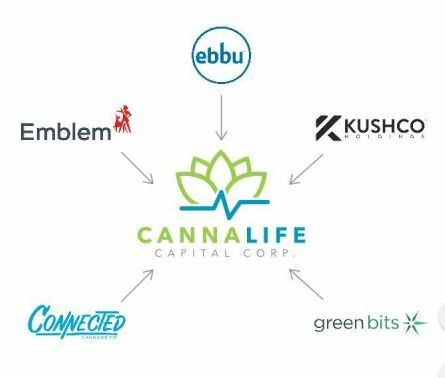 So far, CannaLife Capital Corp. is at the top of my list for IPOs I’m anticipating. The company is running like a machine. And it’s got a great management team with tons of experience maximizing returns. Plus, I'm almost more excited about the potential for a global hemp industry than cannabis. It's going to be truly massive once it reaches full scale. The company is doing one more round of private funding before going public, however. So this is another one you’ll have to wait on until later this year. That’s it for today. I’m getting everything ready for my trip south this weekend. Barring any unforeseen mishaps, I’ll be back next week with all the details, and maybe even some cool pictures and stories, too. If you’re looking for some more cannabis stocks you won’t have to wait on, I’ve got a few in my portfolio that are helping make my readers a lot of profit. We’re talking big double digits already this year. You can get the information on my favorite here. I highly recommend you do. It’s one of my top picks in general for 2019. And it’s probably the best cannabis investment ever. I’ll be in touch soon with more IPO coverage. Keep your eyes out for my next email.